Welcome to your weekly fall cocktail fix, this week I’m combining colorful cranberries and spiked seltzer for a twist on an old standby. 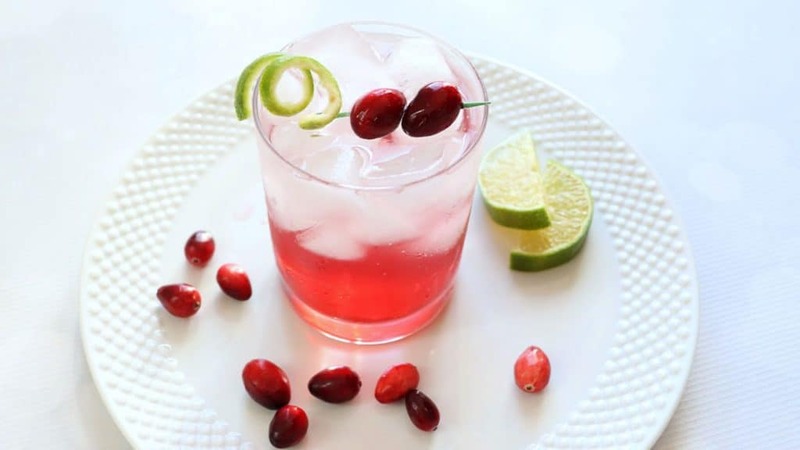 This sparkling vodka cranberry cocktail is a crisp and refreshing way to enjoy fall flavors. The recipe is below, along with a video, and more fall cocktails to wet your whistle this weekend. Tart cranberry pairs well with vodka and a twist of lime. It’s a fruity drink you can enjoy without all the sweetness. 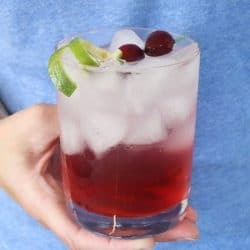 This cocktail is one that you can enjoy year round but it works really well this time of year when cranberries are in season and in every baked good available. This sparkling vodka cranberry is made with the addition of spiked seltzer, a drink that is bubbly with a hint of fruit and not too much sweetness. I chose a cranberry lime seltzer for this drink, but you could use any flavor out there, and there are a lot! Anything from White Claw to Truly to Smirnoff this is definitely the canned beverage of the moment, it’s low in calories and not overly sweet, perfect for sipping year round. You could also use a regular seltzer water to cut down on the alcohol content a bit. Pour vodka, cranberry juice and lime juice over ice and stir. 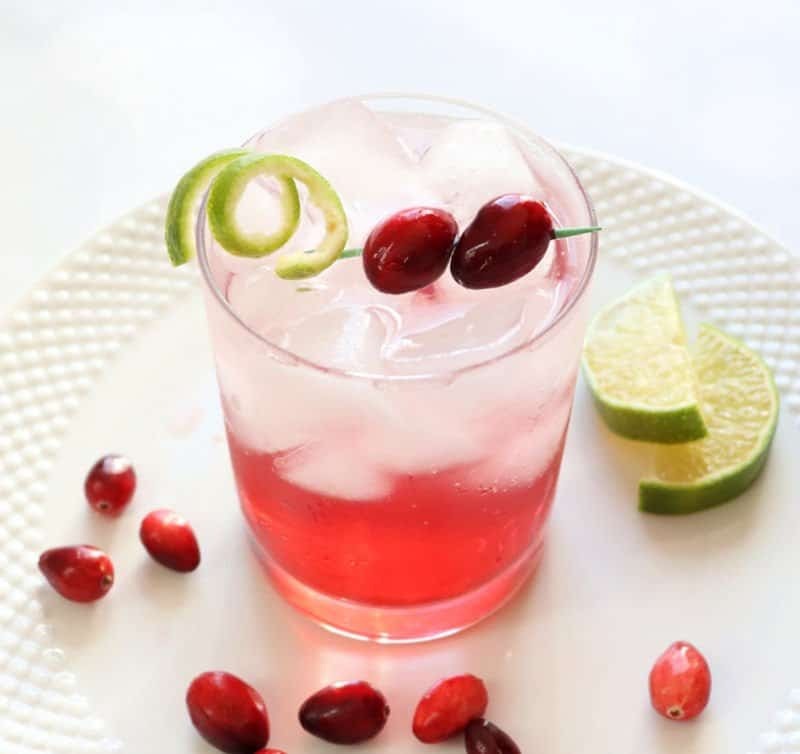 Top with sparkling seltzer and garnish with cranberries and lime twist. This sparkling vodka cranberry cocktail will be on my menu for Thanksgiving. Our house is always warm when it’s full of people simmering food, a cold refreshing cranberry cocktail will be perfect for my family to enjoy prior to our meal. 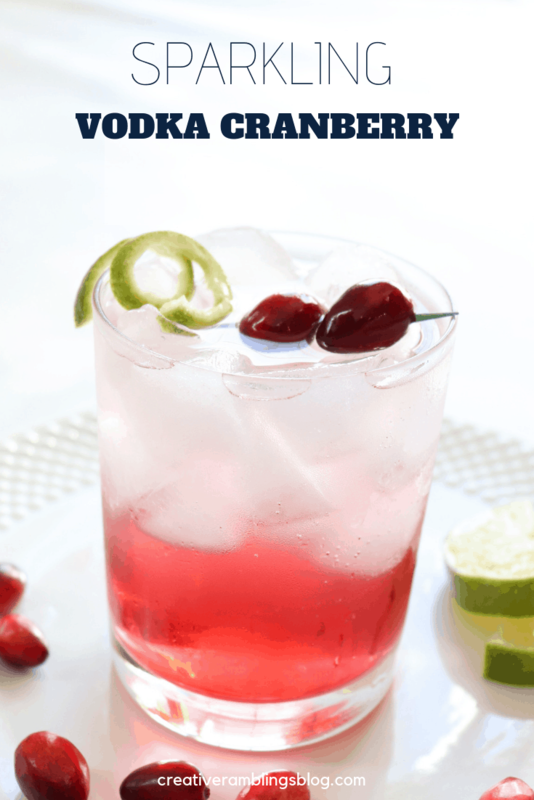 If you like this sparkling cranberry cocktail, be sure to pin it! Now take a look at these other fall cocktails.